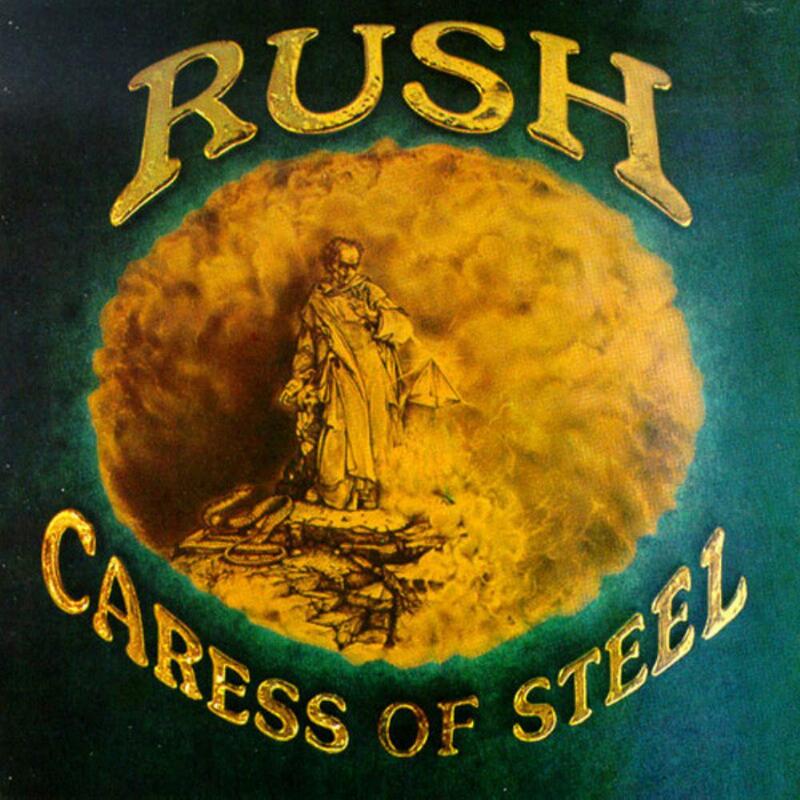 This Rush album is the beginning of a long trend in their output of albums. It is the start of what some like to call their Progressive Era. I, for one, like to think of it as a warm up to 2112, for the two epics aren't fully fleshed out and are a bit abstract. Musically, this album is at a time when Rush were trying to expand their horizons, and many different tones and moods are heard. There's the heavy anthem of the album in Bastille Day, the bluesy rocker I Think I'm Going Bald, the soft modulated guitar tones on Lakeside Park, the quiet and somber tones of the Necromancer, and the alternating phased and acoustic sounds of The Fountain of Lamneth. All the right ingredients are there, but why was this album so unpopular when it came out? Frankly, I think it's because they took an unexpected turn and their fan base didn't like it. Anyway, back to the music. The album opens with the rough and heavy Bastille Day. The drumming and bass on this track are well done, as well as the crunchy tone of Lifeson's guitar. Add in a bluesy, heavy guitar solo, and you have a masterpiece from Rush. The lyrics bring up images of a kingdom under fire, and the guillotine claiming the lives of many. The next track, the weakest track on the album, I Think I'm Going Bald is more of a joke lyrically than anything else. The music also feels like a rehash of something from their first album, and the solo sounds similar to the one in Bastille Day, the weakest song on the album. The final of the contemporary tracks, Lakeside Park, is a journey into the past of Neil Peart. With a introduction drum roll, the bluesy guitar shines throughout the vesres, and the clean and soft guitar shines through the choruses. This is one of my favorite Rush songs, mainly because of the modulations Alex Lifeson uses on his guitar, they are phenomenal. The first of the epics, The Necromancer, is an abstract piece. Beginning with a very deep narrorator (Terry Brown I believe), he tells of a tale of three travellers who are greeted by misfortune when a necromancer takes them into the shadow. The music starts off quietly, with volume swells off of Lifeson's guitar. The ending is full of rejoice when old character Prince By-Tor comes and saves the day (unlike in the song off of Fly by Night, where By- Tor is the evil one). The music is rich and very well done. The final track, The Fountain of Lamneth, is also a very abstract piece. Musically speaking, this was the most ambitious piece Rush had done to date. The riffing by Lifeson is very similar to what was going to be one of his staples later in Rush's career. It begins quietly, with acoustic guitars from Lifeson. Then one of the main riffs comes in, and it is the most memorable things on the album. It's a very rocking section that takes you straight into Didacts and Narpets. This section is a one minute drum solo from Peart and has only one line of lyric, "LISTEN!!!". The next part, No one at the Bridge, is easily the best riff Lifeson had come up with to date. The rest of the track is masterful, and it truly is one of the great Rush epics.